Fat quarters of blue flowers, floral stripes and paisley. Let us encourage your love for floral fabric with the Gabrielle Collection! You will adore these blue flowers, floral stripes, paisley and more. 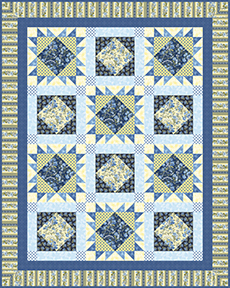 Contains 17 fat quarters measuring approximately 18" x 22" each.